Got student loan debt from undergrad, graduate school, or both? If your answer is yes, then the next video in the Charisse Says series on Modest Money, “Ready. Set. 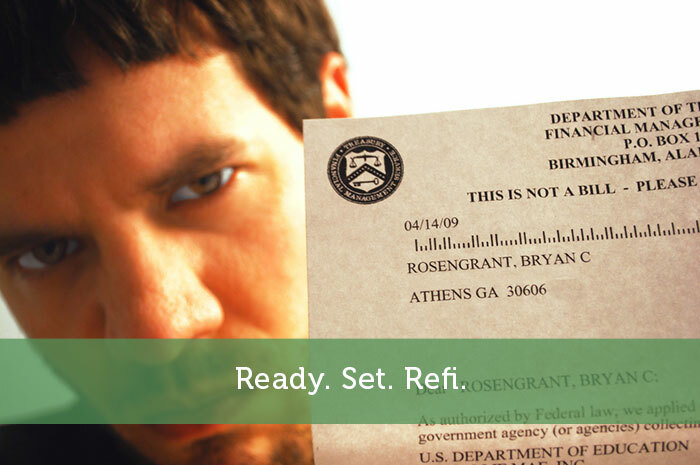 Refi.”, is for you. It is nearly impossible to do all of the investing we have discussed in earlier blogs and episodes if you are in a significant amount of debt. So, I want to arm you with at least one solution to the student loan debt problem: REFINANCING YOUR STUDENT LOANS! 1.What does it mean to refinance a student loan? 2.What are the steps one can take to refinance a student loan? When you refinance a student loan, a new lender effectively pays back your old loan and you get issued a new loan with a potentially lower interest rate, and thus a potentially lower required monthly payment. Your new interest rate is typically based on your credit profile. So when you are trying to refinance your student loans, make sure you are in good standing with the credit agencies and have a high credit score. If you have a score of over 700, you will increase your chances of getting approved for a student loan refinance with a good interest rate. According to many economists, interest rates are likely to remain low for the next few years. What this means is that you have the unique opportunity to save thousands of dollars if you can get a lower rate on a new loan. I want to point out that it is important not to confuse refinancing with consolidating a loan, which just combines multiple student loans into just one loan. Consolidating a loan generally doesn’t save you any money because it simply makes the payment process easier, not cheaper. Federal loan consolidation is offered by the government and is available for most types of federal loans, but not for private loans. You can, however, refinance a federal or a private loan. In the video below I give you an example of how you can save thousands of dollars over the life of your loan by refinancing and tell you the best time to do it. Step 1: Find out if your current lender offers a refinancing option. Step 2: Check out several student refi players to compare rates and terms. Check out the video for a list of the major players in student loan refinancing. Step 3. Fill out an application to apply for a student refi loan. Step 5: Compare results and call each lender with your questions. What are you waiting for? Even President Obama had words for Congress to get off their butts and pass a bill. Press play and find out what he said.